So there is a hidden feature in Android 4.4 For whatever reason, Google has neglected this very basic feature – until now. 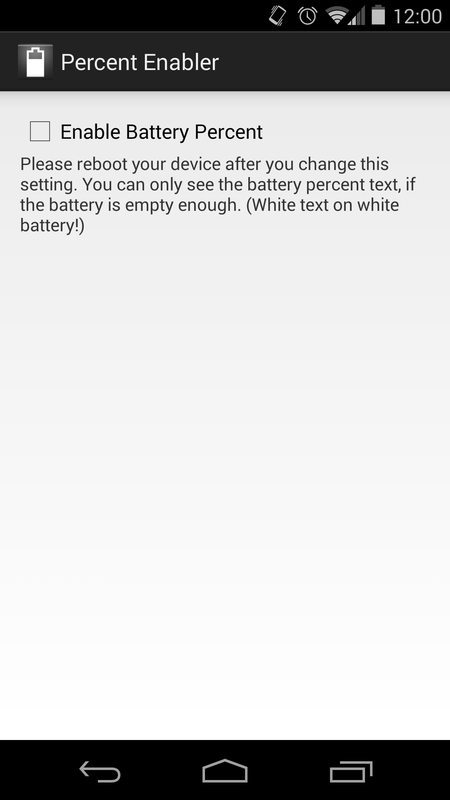 Android 4.4 on the Nexus 5 includes a battery percentage display option, but it's pretty buried and far from an ideal implementation. After the device reboots, you'll have a battery percentage indicator, but it's inside the battery icon and the digits are white. Yes, that means you can only see the number when the gauge gets fairly low – in the mid-40s or so. 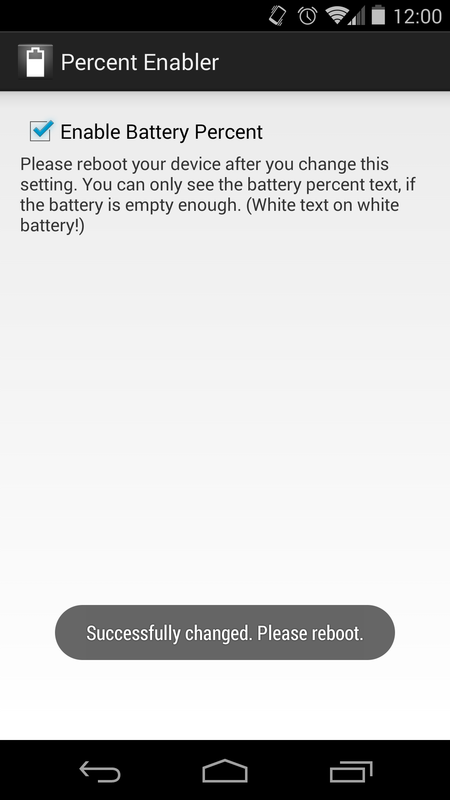 If the ADB thing isn't up your alley, an XDA member has thrown together an app that can do the same thing, and just like the above, no root is required. This really feels like an unfinished feature. The fact that there isn't even a toggle in the developer options bears that out. Still, the code is there. I can only hope Google makes this a real option with a future OTA.